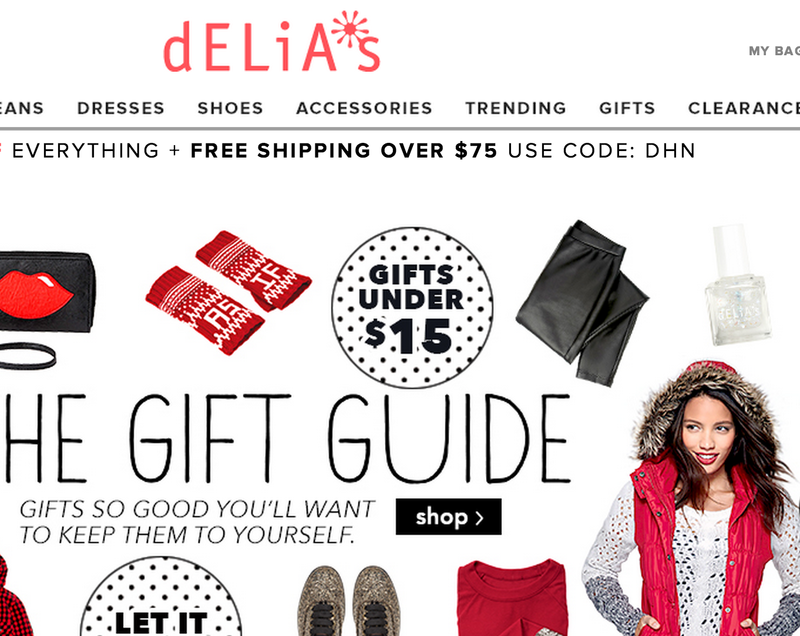 Clothing retailer dELiA*S — a store best known for its complete disregard for capitalization and punctuation — has announced today that teenage girls have moved on to other retailers, leaving it in d33p n dEbT and having to file for Chapter 11 bankruptcy protection while it closes stores and liquidates its assets. The NYC-based company said this morning that it will begin selling off its merchandise as soon as today, with the intention of paying off its creditors, but without any hope that the store will be resurrected. In its announcement, dELiA*s says that it had failed to find a merger partner or convince any larger retailers that it should be acquired. So people who live near any of the 100+ soon-to-close dELiA*s stores may be able to get some decent deals as the company liquidates its merchandise. However, as we’ve seen in other liquidations of chain stores like Borders and Circuit City, the prices on these items are not always that great — and remember that you can’t return them.